completed by our teams at the end of 2014. The end of 2014 was met with excitement as we wrapped up one of the busiest years in ACE's history. As always the end of year lead to ACE staff planning for the 2015 season, with specific ideas to upgrade our social media efforts. NEW Website, our social media outlets, and most of all through our continued efforts to provide opportunities for all to Serve, Explore, and Restore with ACE this year. Thank you to all of our subscribers, followers, and friends of ACE. 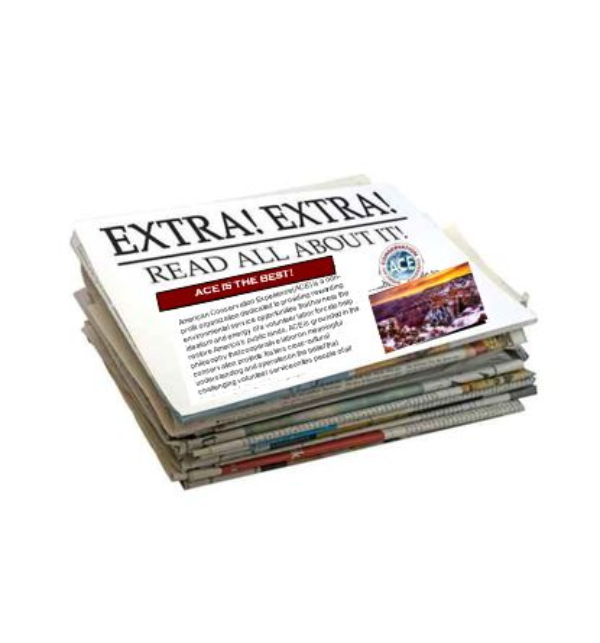 We hope you enjoy our latest installment of ACEbook! I woke up this morning contemplating Starbucks, not necessarily due to latent caffeine addiction, but because no matter where you go in the world the experience at Starbucks is always the same. Specifically, I wondered if ACE can possibly be expected to sustain the standards that define our fieldwork and our member experience even as we come to scale as a national resource. As we prepare our newsletters I become a spectator in ACE, just like the rest of our readership. I'm exposed to crew projects around the country, fascinating internship opportunities occurring often in partnership with agency units I had never even heard of, and truly ambitious AmeriCorps voluntary service projects in remote rural communities. 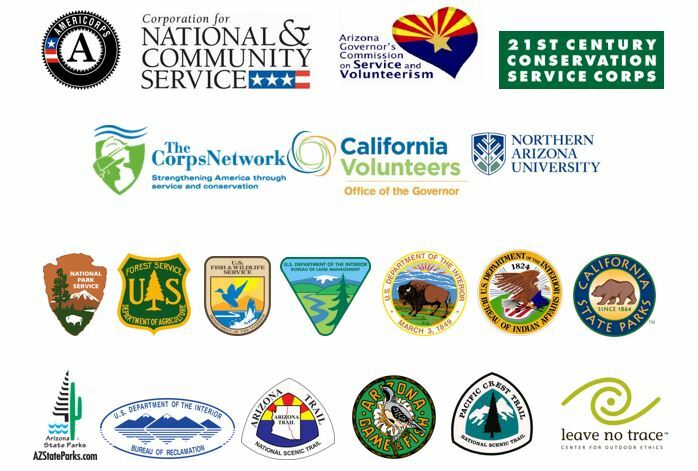 In the daily rush of activity I lose track of the numbers, only to learn through the newsletter that ACE corps members and volunteers dedicated over 417,000 hours of labor in 2014 while serving in over three dozen states. The facts, figures, locations and scale of ACE are at once invigorating and overwhelming, but inevitably cause me to consider whether ACE can achieve and sustain a Starbuck-ian level of cultural consistency. ACE's universe has a way of answering its own questions. Instead of Starbucks I paid a visit to a local cafe in Flagstaff and was met by a effusively happy server who recognized my ACE hat and spent the next 10 minutes ignoring other guests while telling me about her experience as an ACE volunteer in Lake Tahoe. I sat down with Matt Roberts in Flagstaff, who shared a similar experience meeting a waitress at a small cafe in southern AZ whose son had enjoyed a trans-formative experience serving as an AmeriCorps member for ACE in Flagstaff. I opened my email to read an expression of gratitude from a Superintendent of a small National Historic Site in Kansas who described ACE interns as having "breathed new life" into her park. I stood by the fax machine as a recent crew evaluation from one of our original BLM partners in UT stated that "ACE crews are enthusiastic, work hard, listen carefully and never complain....you cannot ask any more than " Every day ACE corps members, alumni, staff, agency partners, and general community members reach out to thank me for creating ACE and for the changes it has encouraged in their lives. I take far too much credit for the work of others and am always mildly embarrassed to be thanked by people who give so much. But their gratitude and the accomplishments represented by the sample projects highlighted in the newsletter convince me that ACE's founding culture persists. I'm grateful to be along for the ride. Can you believe it has been 50 years since the formal establishment of America’s National Wilderness Preservation System? In order to celebrate this milestone in wilderness history, and to capitalize on the first gathering of its kind in 25 years, 13 ACE Interns, Wilderness Fellows, and staff converged in Albuquerque, NM in October to participate in the event, learning and sharing about current wilderness management struggles and triumphs. 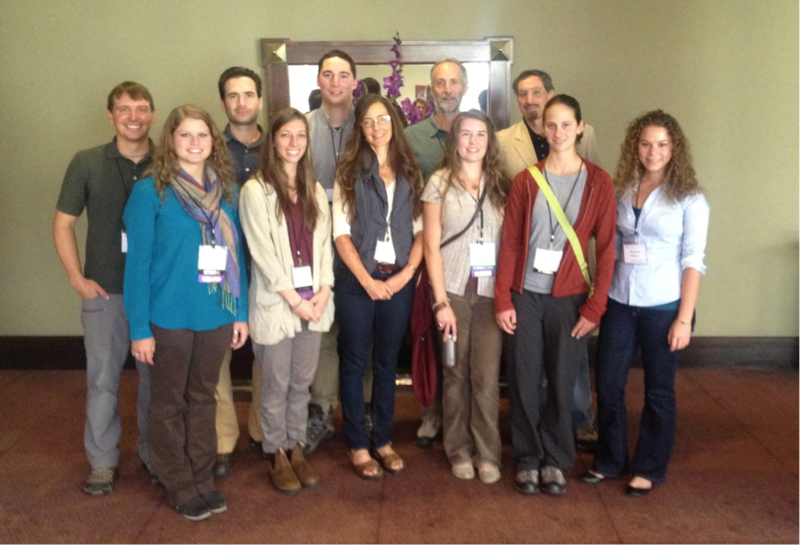 Joelle Marier and Morgan Gantz – ACE Inter-agency Wilderness Fellows, attended a pre-conference training where they enjoyed additional networking opportunities and a chance to discuss wilderness management issues in a more intimate setting. Many connections were made and celebrations enjoyed by those in attendance of this landmark event in wilderness management history. 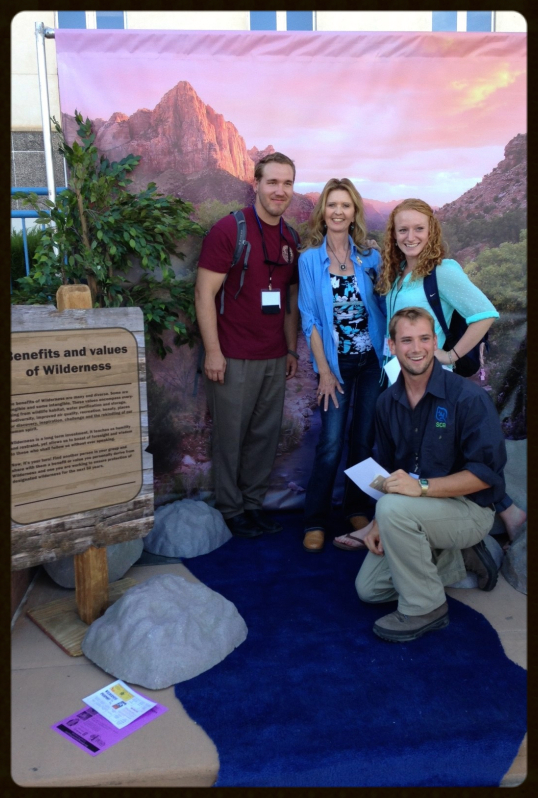 Top Left Photo: ACE’s James Lynn poses with BLM CA Grants Management Officer, Leona Parker, and interns with the Student Conservation Association). Above Photo: ACE Interns and Wilderness Fellows. 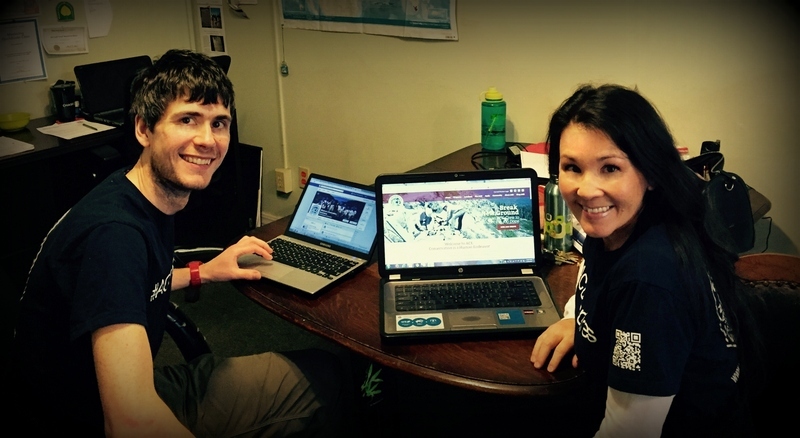 American Conservation Experience launches a NEW WEBSITE! ACE is proud to announce the launch of its brand new website. The launch marks a step forward in ACE's online journey with an improved site structure, greater social media integration, and mobile-device optimization. The site was developed by Susan Jardine and Tom Wilson in collaboration with a local Flagstaff website development company. The new site has a strong emphasis on aesthetics and user-experience across a variety of platforms. The new design aims to provide visitors with information about all of the fantastic work ACE does, and the wonderful opportunities we have to offer, plus serve as a resource for past, present, and future corps members and volunteers with news, photos, job opportunities, and an online store of ACE-branded merchandise. The site has been well-received by ACE staff and members of our community alike. ACE's founder and President Chris Baker described the site as "fantastic". Head on over to the new site at www.usaconservation.org and let us know what you think! Development is ongoing and new features will be added including an interactive project map and improved photo gallery. Mark Loseth and Matt Roberts gave a presentation at the Arizona Trail Association (ATA) AGM outlining the new trails training partnership between ACE and the ATA. 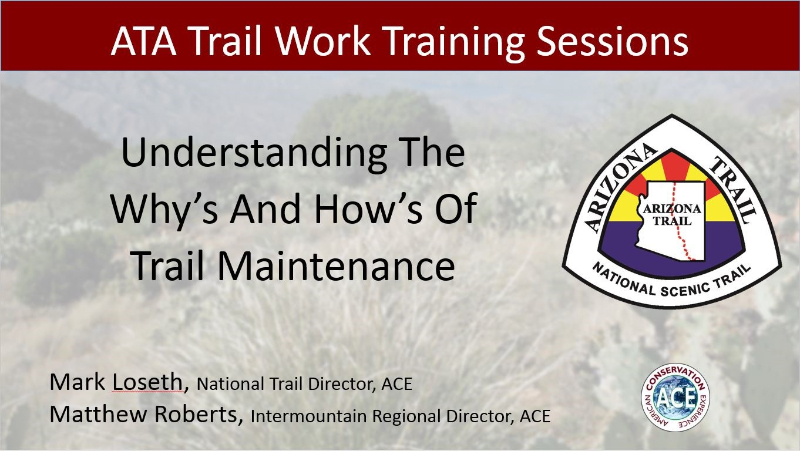 Mark and Matt talked about the newly developed syllabus, the locations for the series of two-day field-based training sessions throughout Arizona, and the need for a new focus on understanding the processes that affect trails. Traditionally trail training has focused on how to build trail structures with little to no emphasis on reading the landscape. Mark highlighted that this new series will enable participants to recognize, assess, and record trail damage, and then make maintenance decision based on these assessments. National Service days are great ways to get engaged in the community. Many people are already looking for volunteer opportunities. 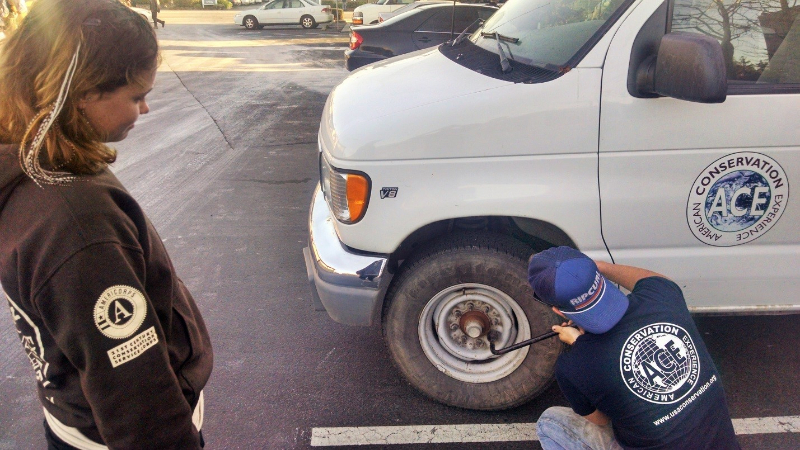 Hosting a volunteer service event is a great way to capitalize on an eager volunteer pool. You can also schedule a time by contacting us at volunteer@usaconservation.org. In addition ACE Recruiters are planning to visit Utah during the month of April. Please contact us at volunteer@usaconservation.org for specific details. What is EPIC you ask? ACE's Emerging Professional Internship Corps program is an Internship and Wilderness Fellow program, pairing up recent graduates with our coalition of partners, affording them the opportunity to work alongside, and under the guidance of, agency mentors. In this setting the EPIC Interns have the opportunity to apply their knowledge of resource management on actual projects and programs as they develop and emerge as the next generation of resource and land managers. You can read more about the EPIC program on our website. And now on to the gentleman at the helm of this very successful program, National Internship Director, Shane Barrow. Between running EPIC and raising a family Shane was kind enough to sit down for an interview. Thank You Shane for making the time and offering up some wonderful advice. 1. Where did you grow up? Siblings? Family? My older brother and I were both born in Davis, CA to my father, a lobbyist, and my mother, an artist. As with most parents in 1979, they divorced, and thus began our time being raised in two very different worlds. Our summers were spent in a unconfined, barely supervised time exploring the length of the American river in the California foothills with our father. The other living under the watchful eye of a our family and close knit LDS community at the base of the 12,000' peaks of the Wasatch Mountains in Salt Lake City, Utah. We moved to the San Francisco Bay area in 1986 where I discovered mountain biking, sneaking into East Bay lakes to bass fish, and the environmental movement. Deserts and Rivers defined my youth. Retrospectively I could say that I wanted to work in natural resource management, but when I was younger I had no idea, outside of 'Park Ranger', that restoration ecology was even an option. I knew I was happiest when wandering through redrock hoodoos of southern Utah, or biking to secret bass fishing spots under my favorite Valley oak along the American River. However, it wasn't until in my late teens that I rediscovered my love of public service and passion for open spaces. My wife and I wandered blindly into conservation work. As first generation college graduates we had no idea the challenges we faced at that point of our youth to chase a career in river restoration. Had I not met my wife, however, I would have likely ended up building houses...I really like building things. 3. How did you get in the conservation field? Mostly by accident...an unavoidable destiny that, in retrospect, seemed like a well thought out plan. A confusing path that I followed through the tumultuous 1990's conservation movement. The Northern Spotted Owl, tree sitting, headwater forest, Edward Abbey environmental movement that was so impassioned. As a young man I was intrigued by the environmental movement. I was raised, like many middle class americans, believing that Nature and the protection of natural areas was a right, not a privilege. I struggled with the complex compact that, decades earlier the likes of Howard Zhanizer, David Brower, Stewart Udall, and Mark Risner (amongst others) all endeavored to create. It was during this time when I was trying to define my environmental ethos, I attended the Environmental Law Conference with one of the leaders of the SF Bay areas Earth First Movement. I was struggling with my passion for rivers and river management and my desire to understand all resource users...this conference helped me to define my own hypocrisy and begin to work towards a more balanced view of the environment, and our place in it. I always felt like an observer, never able to engage completely with either group, never able to draw a clear concise line between right and wrong...good and bad. At the law conference, and later as I began volunteering for the Bureau of Land Management (BLM), Ducks Unlimited, American Rivers, and other various organizations, I began to recognize that the future of the environmental battleground wasn't going to be found sitting in a tree. The future of our public trust was going to be decided by creating policy. The courthouse was becoming the new environmental battleground. It was during this time that I embraced the reality that I could do more working within the system, rather than against it, and began my quest to build my career as with the BLM. 4. Can you name a person who has had a tremendous impact on you? Maybe someone who has been a mentor to you? Why and how did this person impact your life? Anyone who proclaims that they are 'self-made' or that they have achieved without help and support of others are fooling themselves. I have had countless individuals who have mentored and nurtured my career. People I hardly knew have opened doors and allowed me to put my foot inside. Others have spent countless hours leading me, or sending me off with a task, and a 'good luck'. I owe everything to the botanist that shared his love for plants, the GIS specialist tolerated my incompetence, the biologist who trusted me, the range conservationist who opened my eyes, the wilderness specialist that reminded me why we care, the outdoor recreation planner who reminded me that there is always time to sit down and have lunch by the river. I wouldn't be here if the NEPA coordinator didn't teach me the importance of public involvement in the process, if my supervisor didn't support youth opportunities, if my mentor wasn't so willing to share his vision with me. And most importantly, that my wife of 21 years was endlessly patient with me, and still is to this day. 5. Tell me about a project or accomplishment that you consider to be the most significant in your career? 6. What lessons has working for ACE taught you? 7. What advice would you give someone who is interested in getting into the field of conservation? My career advice really depends on what point someone is in their scholastic or professional career...my advice will be very different for a College Freshman than it would be for a 25 year old finishing up their Masters Degree. There is some advice that holds true for everyone, however: Stay Out of Debt, Live Simply, Avoid Collecting Things, and a new one for this generation, Unplug. It often takes years to 'get your foot in the door'. It is impossible to fully engage in an experience when you are burdened by debt, cell phone bills, car payments, and the fear of loss. At some point early in our career we all volunteer, do internships, take wierd jobs, live in places we would have never imagined, think about finding a different career, before we reach our goal, whatever that may be. There is a thousand ways to achieve your goals, all through routes that are unimaginable. If you think moving to Wyoming for a position in oil and gas isn't the right path to becoming a wildlife biologist, think again. I never expected that working as a Realty Technician would lead to Abandon Mine Land Rehabilitation work, that River Ranger would lead to Botany Tech, that Clinton's 1996 designation of monuments and wilderness areas throughout California would suddenly throw me into defining boundaries. When I was cleaning the composting toilets out on the South Fork of the American River I never imagined that I would be working with oil companies to mitigate their impacts on Giant Kangaroo habitat. When I was hand-pulling yellow star-thistle on the Mokelumne river I wouldn't have imagined being a part of a 100,000 acre agricultural land retirement program in the California central valley. When I was pulling old tires out of the river, I never would have believed that I would be where I am at today. There is no such thing as a bad experience. 8. What is something about yourself that most people don’t know? My big secret...I am undeniably lazy. 9. When not running EPIC what do you do to pass the time? Hobbies? When not helping the kids with homework, or exploring canyons with the family, I play Ultimate Frisbee. Ultimate has been 25 year passion that I can't seem to shake. I also coach my son's team, and in 2014 became General Manager of the Salt Lake Lions professional ultimate team. Now that EPIC has such an amazing staff in place, I have been able to start reviving my passion for running of rivers. As my ability to carry heavy loads great distances in the backcountry diminishes, letting the river do the work seems like a good plan. In reality, however, I will never miss the opportunity to join in with friends for any activity that takes place at above freezing temperatures. 10. Do you have a personal Motto? About 8 or 9 years ago when putting together a presentation for a national restoration conference on how to utilize volunteers and interns to more efficiently and effectively run landscape level invasive species programs in the Channel Islands, I created a short motto that best described my personal environmental ethic: "Conservation is a Human Endeavor"...today, when you explore the ACE web-o-sphere, it is heartening to see that ethos adopted and repeated throughout the organizations mission and purpose...without people, conservation would not exist. 11. If you had a super power what would it be? 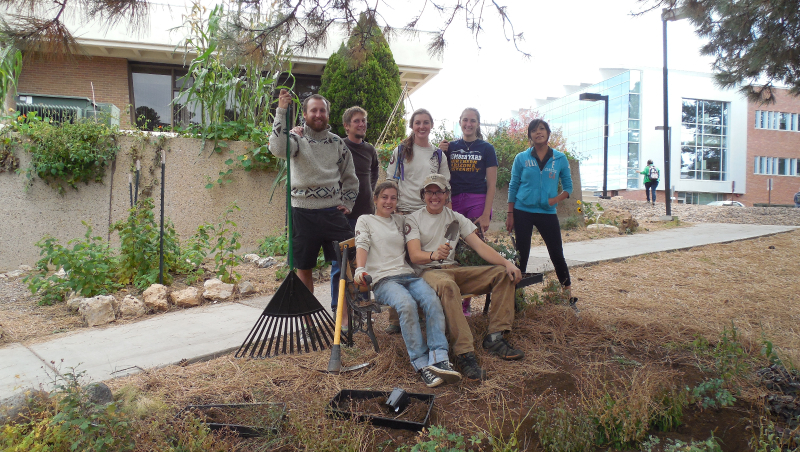 Joelle Marier, ACE EPIC Wilderness Fellow and AmeriCorps member, organized 50 hours of community service in Mesa Verde National Park for her AmeriCorps Volunteer Service Project. Marier’s “Graffiti Busters” event drew in 10 volunteers from the local community. After a brief training on how to properly clean graffiti, the group spent their day cleaning graffiti throughout the park. Thanks to Joelle’s hard work and passion for the park the group thoroughly enjoyed their experience and felt that they learned a lot. Some were inspired to continue to volunteer after the event concluded. Thank you Graffiti Busters and Joelle! 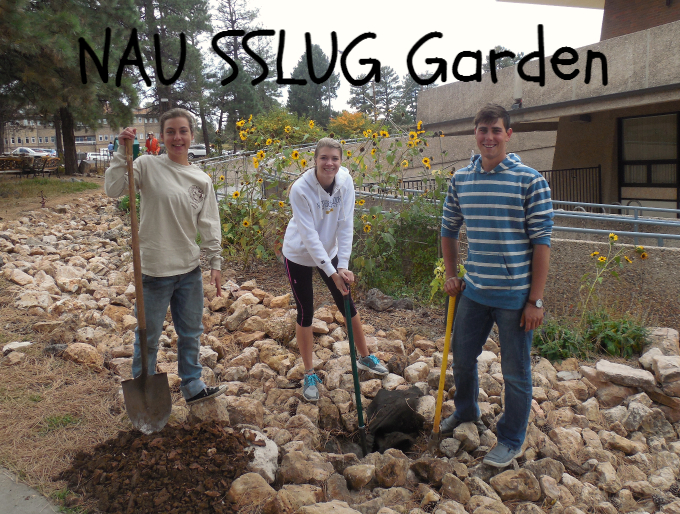 Pictured Below: NAU and ACE teaming up to work on the SSLUG Garden. Asheville, North Carolina: During ACE’s final project with the Weed Action Coalition of the Hickory Nut Gorge (WAC-HNG), local AmeriCorps Land Steward for the Gorge, Chelsea Rath, organized local university students to come work with the ACE crew for the day. ACE corps members taught university students to identify non-native invasive species in the area and how to properly mix and apply herbicide. It was also an opportunity for Corps members to talk about ACE’s program and inform the students of opportunities within our organization. Above is a list of the partners ACE worked with in 2014. Click on the photo to enlarge. ACE had a tremedously busy and very successful 2014! We are so proud of the environmental efforts our great field crews, interns, wilderness fellows and corps members achieved. Roughly the same size as the 550 MegaWatt Desert Sunlight Solar Farm built near Joshua Tree National Park, the second largest solar array in the world. Roughly the same distance from San Diego to San Francisco. Combined, that is 410,219 hours of service! Roughly the same number of hours it took to carve Mount Rushmore. Thank you for all who made the commitment to help ACE achieve these goals in 2014. We are eternally grateful for your dedication! 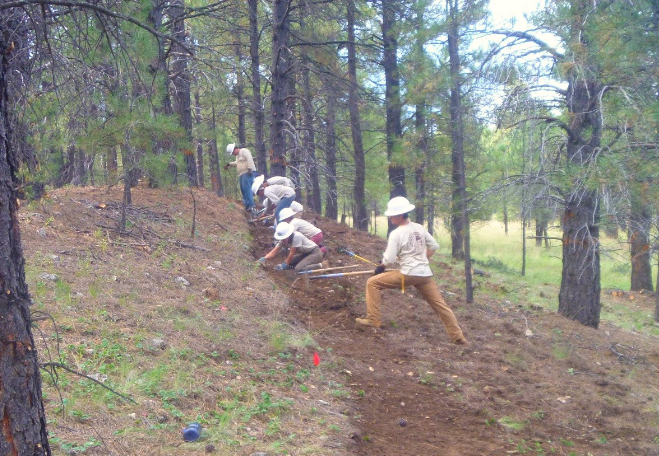 ACE spent one eight day hitch working in the Williams Recreation Area in the Apache- Sitgreaves National Forest, clearing trees. In total, 3 acres were cleared around the Tobaggan Hill sledding run, which was burnt over by the 2011 Wallow Fire. The goal of this project was to make this favorite sledding and recreation area once again safe for winter time enjoyment, by removing any tree that had the potential of falling onto the area. The trees that the ACE crew removed consisted of a variety of diameters, all of which had all died during the fire, making this a more complex felling project. Four AmeriCorps sawyers who had acquired the appropriate skills and experience were selected to take on this complex felling project. 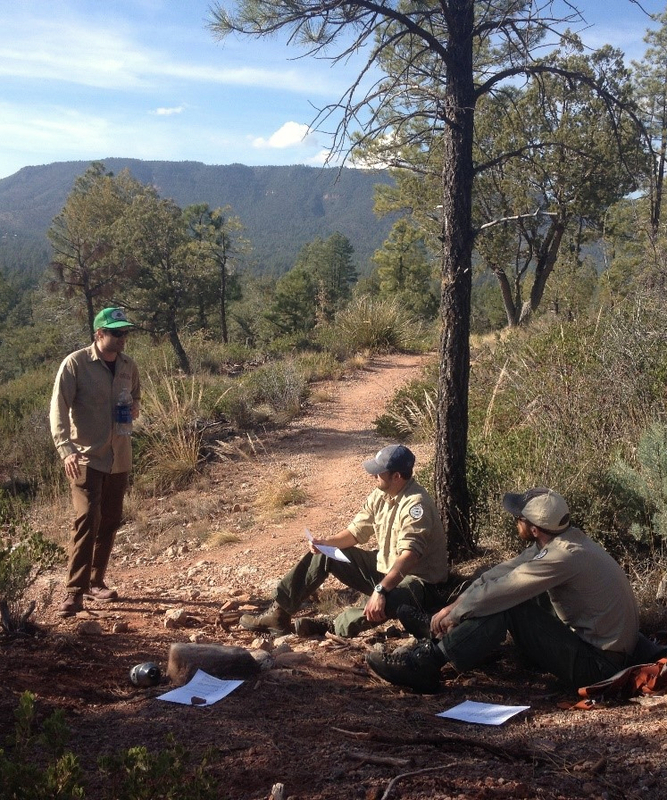 While in the field they were able to improve their skills and and learn more advanced felling techniques, all while enjoying the beautiful fall time scenery of the Apache- Sitgreaves forest. When we think about trails we may have an image of a person with a backpack in the woods enjoying a nice stroll appear in our minds. In reality however, there are more kinds of trails and trail-users than one can shake a stick at. Close to our Flagstaff base, the Coconino National Forest partnered with the Coconino Trail Riders (CTR) in order to provide the Flagstaff area with more of one of these kinds of trail: OHV, or Off Highway Vehicle Trails. ACE was selected to design and construct the new OHV trail. 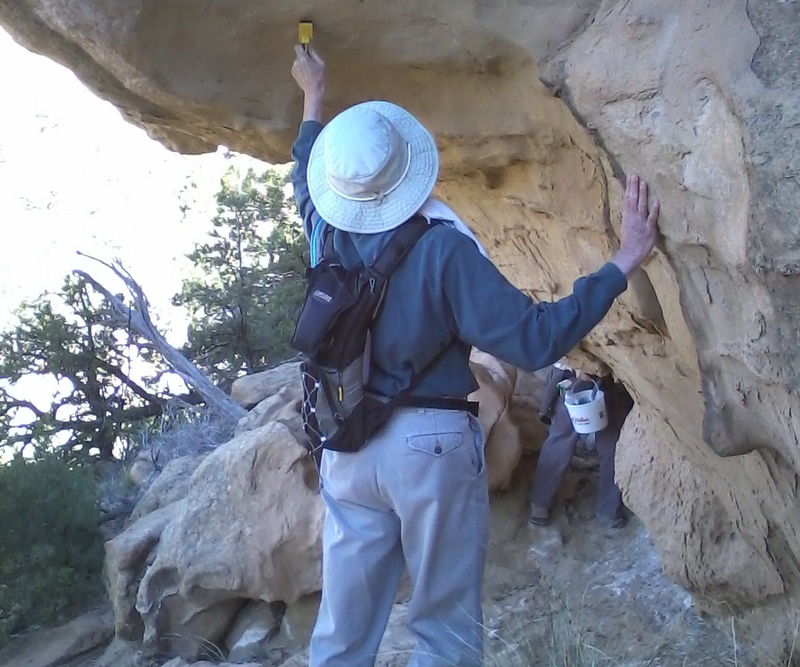 After pouring over maps and conducting site visits, a trail alignment was selected in the Kelly Canyon area. This final alignment was laid out and pin-flagged by ACE Senior Trail Staff. Over the course of 28 working days ACE provided the labor to build 4.3 miles of singletrack dirt bike trail. An OHV trail requires a different approach and layout style than hiking or equestrian trails. Dirt bikes are very powerful and can travel at high speeds. In order to accommodate this, trail turns must be made far wider than usual, visibility of upcoming trail must always be possible, and consideration for trail flow must always be kept in mind. During the building process members of the CTR would come and provide feedback on the trail construction and upcoming alignments. In this way ACE was able to ensure that we were providing the user group with a product they could enjoy for years to come. 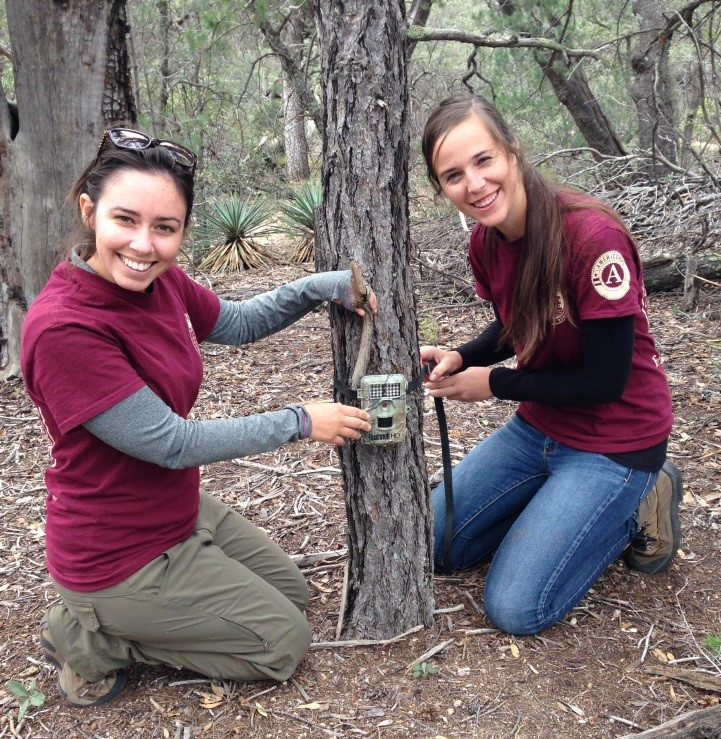 ACE Natural Resource Management AmeriCorps Interns, Lauren Nichols and Veronica Kratman, have been using motion-sensing wildlife cameras to monitor mammal populations at Saguaro National Park in Tucson, AZ. Recently, they have set up cameras in the Rincon Mountains in an attempt to document evidence of jaguar activity within park boundaries. Lauren and Veronica also help educate middle and high school students about setting cameras and navigating with GPS as part of the park's Lost Carnivore program, which is aimed at involving more citizen scientists in the park. Other projects they are involved with are monitoring long-term plots of Saguaro cactus and borderland impact surveys. During fall and winter of 2014, ACE interns Angela Vitale, Matt Conrad, Kyle Rodgers, and Alexandra Vlk were hard at work conducting hemlock surveys throughout the Blue Ridge Parkway in Virginia and North Carolina. The primary objective of the project focused on identification and monitoring of viable populations of the invasive species, Hemlock Woolly Adelgid in the forests of the Blue Ridge Parkway. The ACE interns’ monitoring and inventory will allow the park to effectively manage this impaired plant community and ensure the long-term health and survival of Hemlock and constituent species communities. 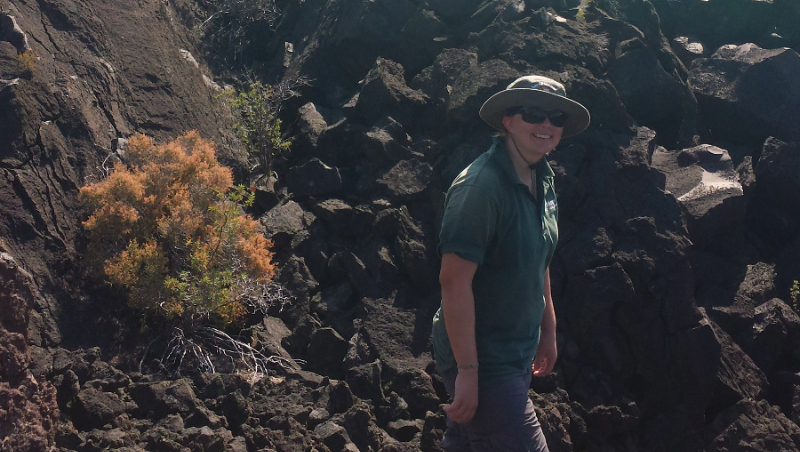 Kathy Whyte served as the ACE EPIC Pika Monitoring Intern for Lava Beds National Monument for the summer and fall of 2014. 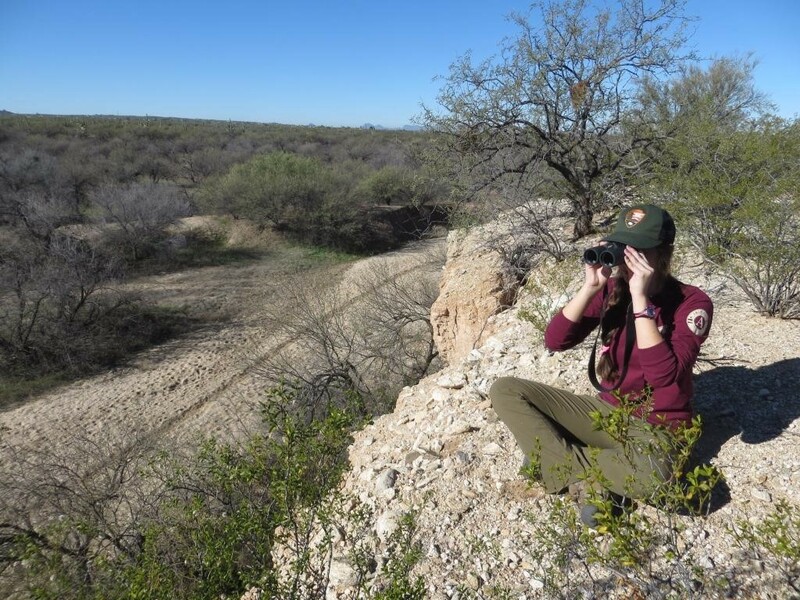 Throughout her internship, Kathy was responsible for implementing the park's pika monitoring program, checking the monument's remote wildlife camera, and conducting Purple martin and Swainson's hawk monitoring surveys, and assisting with plant phenological monitoring. 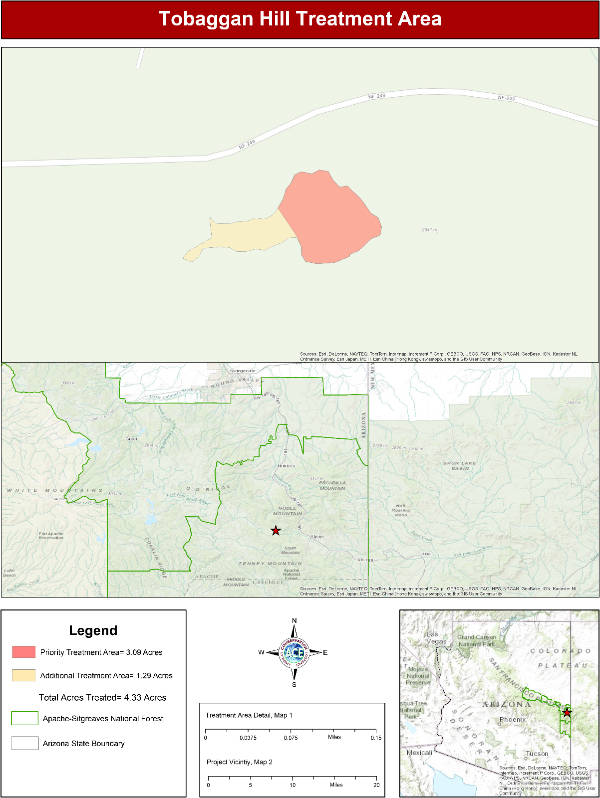 The Lava Beds Pika Monitoring Program studied the habitat and behaviors of the American Pika inhabiting Lava Beds National Monument. America Pika, often called a "rock rabbit." Pika often live in cold alpine areas and they survive in the lava beds because they keep cool in the caves and the cave collapse areas, where they live among the rocky talus as they would on high mountain slopes. Their population in the Great Basin has been studied as an example of how climate change can impact species dependent on cooler temperatures. Kathy directly assisted the NPS through conducting field data collection. 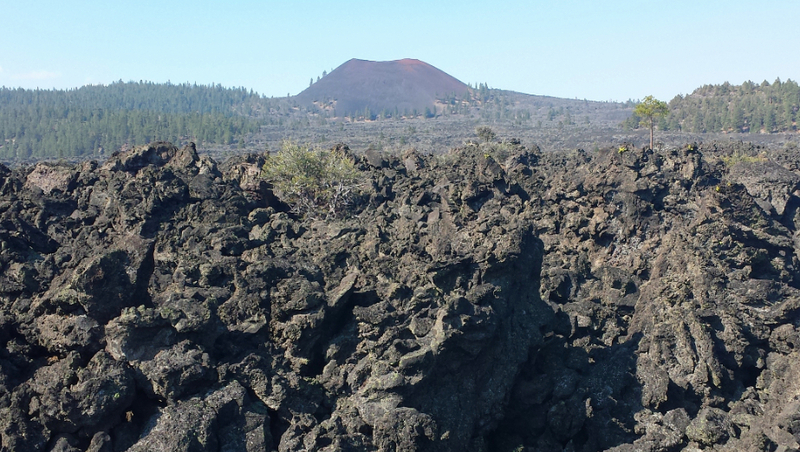 Field work was often conducted cross-country, over rough lava terrain, and under ground. Cave work involved climbing and descending steep rocky slopes and maneueving through tight spaces. 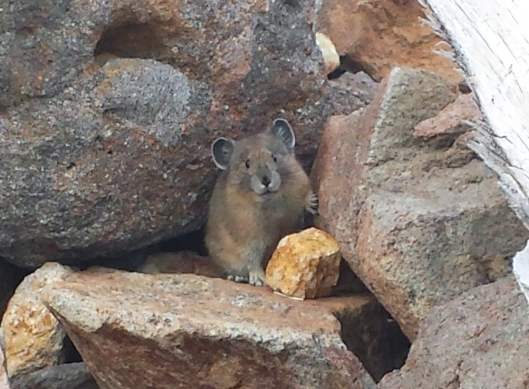 During her internship, Kathy even got to assist with the pika monitoring projects at Crater Lake National Park in Oregon. Photos Below: Kathy Whyte stands among the Lava Beds rugged landscape created from the Medicine Lake shield volcano over the last half-million years. AmeriCorps member Megan Schmitz observes. Upon return from holiday break, ACE CA hosted a week-long series of training events for California staff and AmeriCorps members. Major topics included vehicle safety and maintenance, tool handling, map and compass, leadership and project scenarios, and reporting and documentation. The following week, AmeriCorps members received Wilderness First Aid certifications, CPR, Blood Borne Pathogens, and a three-day Basics of Chainsaw Use and Maintenance course. Throughout much of the year, staff and crew members disperse all across the state, and so the first week back after holidays is a great time for the ACE CA team to reunite and cover essential safety and technical topics. Physically and mentally equipped for the challenges ahead in 2015, crew members are carrying these acquired skills out into the field. 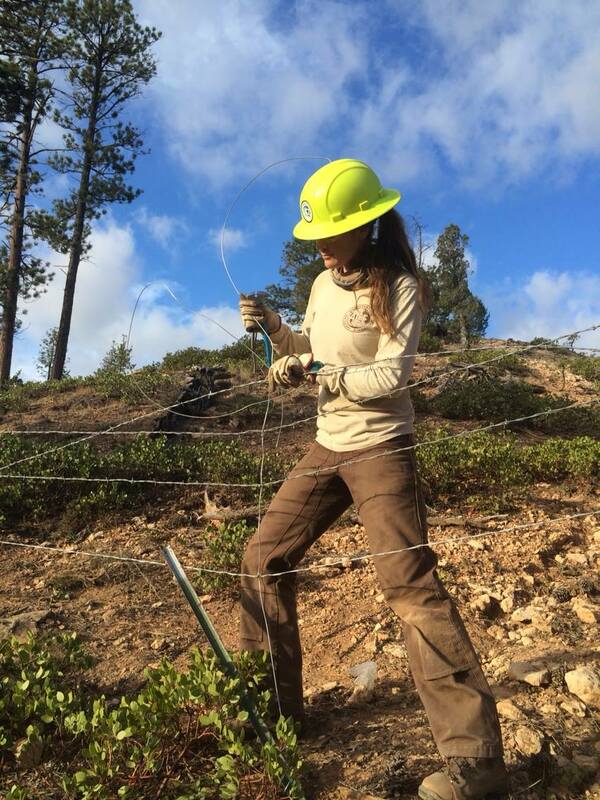 Photo Above: Crew Leader, Cait Healy repairing fence line. 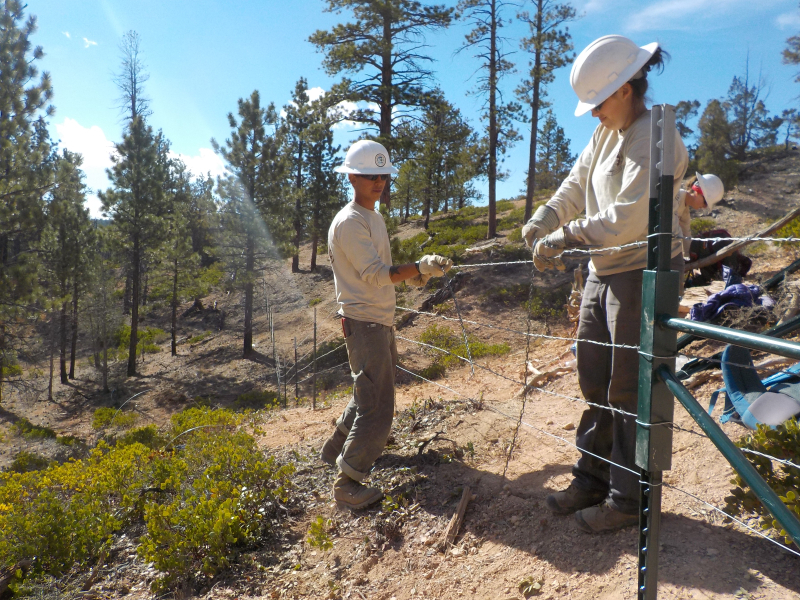 ACE Utah crews were deployed to Bryce Canyon National Park with the mission to survey, brush, construct, and repair boundary fence lines throughout various areas within the park. Over the course of 5 hitches, ACE crews were sent to some of the most remote areas of the park to replace broken fence lines that allowed cattle to trespass and disrupt ecosystems within park lands due to natural disturbance, human destruction and lack of maintenance. Led by the highly enthusiastic and driven Cait Healy, the crew was able to brush nearly 2 miles of fence line as well as remove and construct over 1 mile of new fence line. 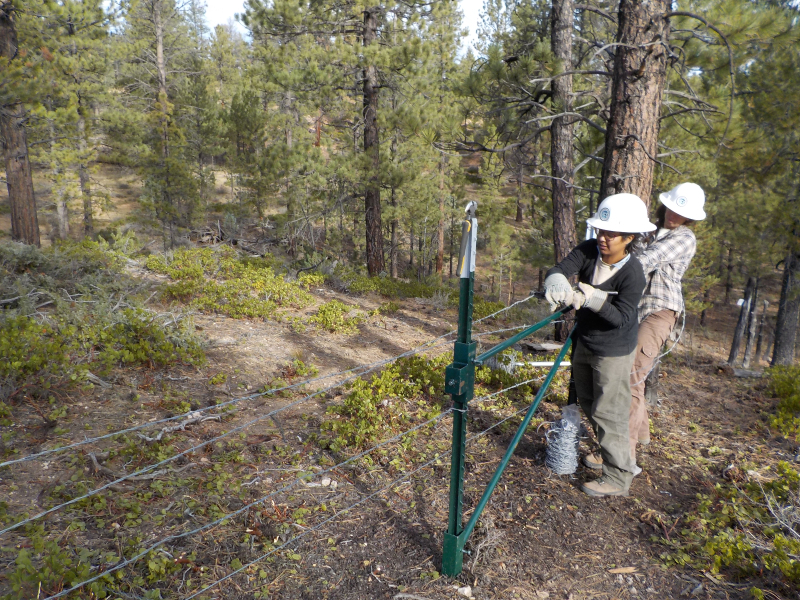 ACE Utah fence, trail and saw crews are thrilled and anxious to return to Bryce this spring and summer! 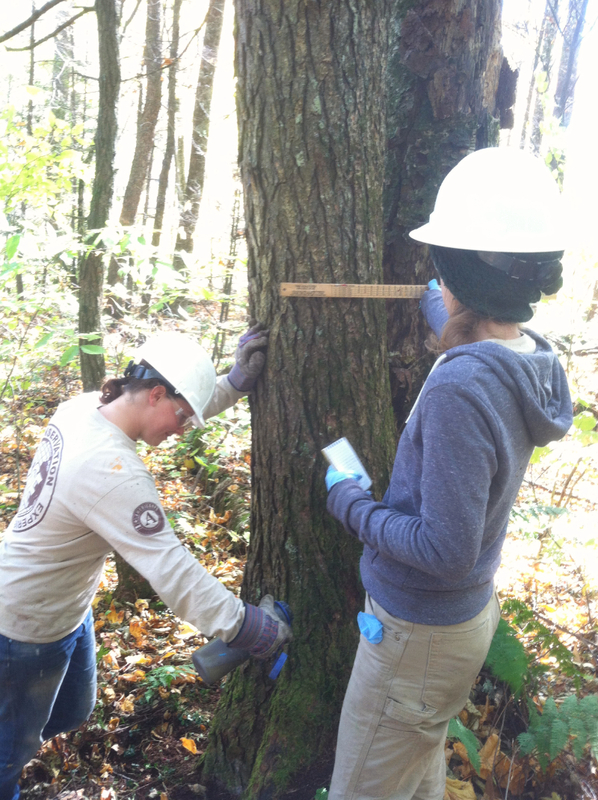 Photo Above: AmeriCorps Members measure the diameter of a Carolina Hemlock tree in preparation for treatment from invasive insects. From mid-October through mid-November 2014, American Conservation Experience worked in the South District of Great Smoky Mountains National Park. The ACE crew assisted the national park service's vegetation management crew in completing ongoing projects in several locations on the North Carolina side of the park. For the first week of the project, the crew participated in Hemlock Woody Adelgid treatments near Purchase Knob, helping to save some of the dwindling population of native Carolina Hemlock trees near from an aphid-like invasive insect. For the remaining weeks of the project, the crew removed or treated invasive plants throughout the south district. This included removing over 80,000 stems of invasive privet from a wetland near Cherokee, NC. 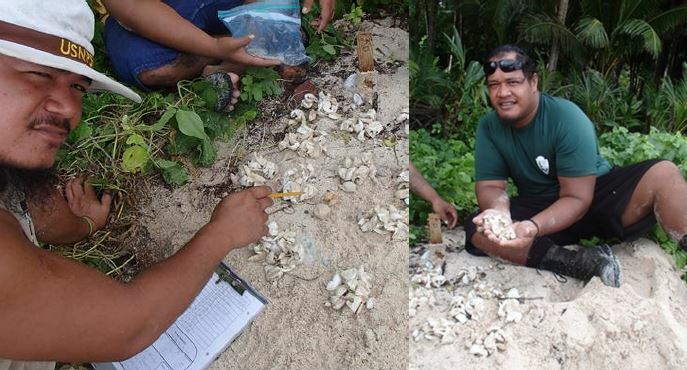 Above Photo: ACE AmeriCorps Members, Ricky Misa’alefua (left) and John Sua (right) inventory turtle nests that have finished hatching and record information on the clutch size and hatching success. The National Park of America Samoa (NPSA) Ofu region is home to Green and Hawksbill sea turtles within the park's boundaries. The International Union for Conservation of Nature lists the Green Turtle as "endangered" and the Hawksbill Turtle was "critically endangered". Preliminary research has revealed that fewer than 10 turtles of these species are nesting on the 2 mile stretch of Ofu beach each year. This scarcity is an area of concern for the NPSA. 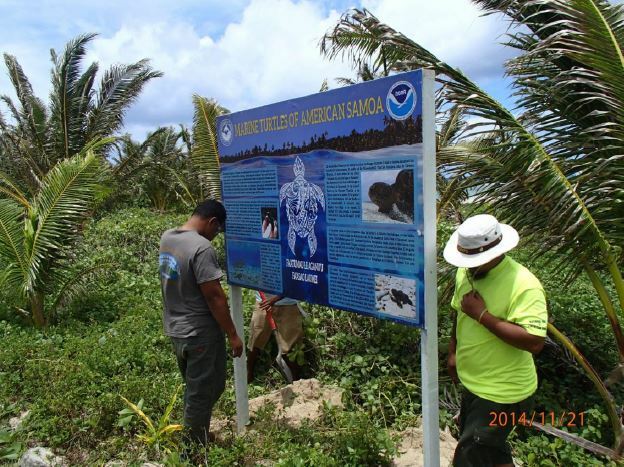 ACE, in partnership with the NPSA, employs and trains local Samoan youth to undertake monitoring, outreach and turtle standing response in an aim to mitigate further decline of the Green and Hawksbill turtle populations. This project began in October 2014 and will run until April 2015. Here we would like to showcase the continuing efforts that are being made to protect these endangered species. Community outreach is a significant part of this project. 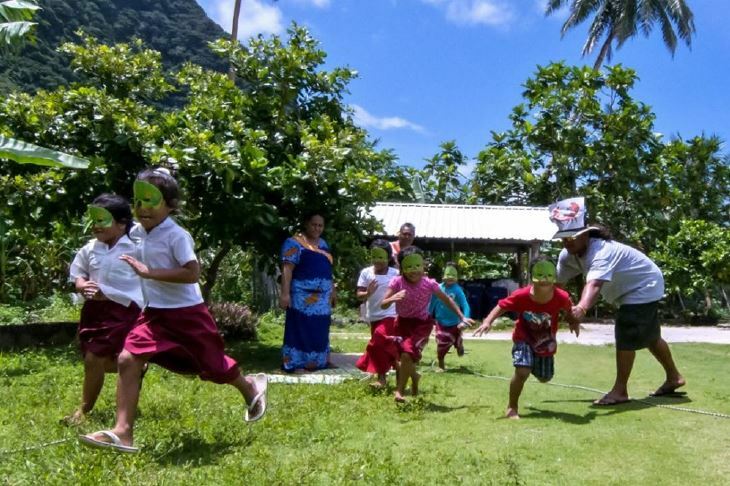 Above Photo shows Ricky Misa'alefua plays the role of ricky the Crab as the 'turtle' students of Olosega Elementary School dash from their nest to the ocean. This game aims to demonstrate the benefits of synchronized hatching and predetor swarming. 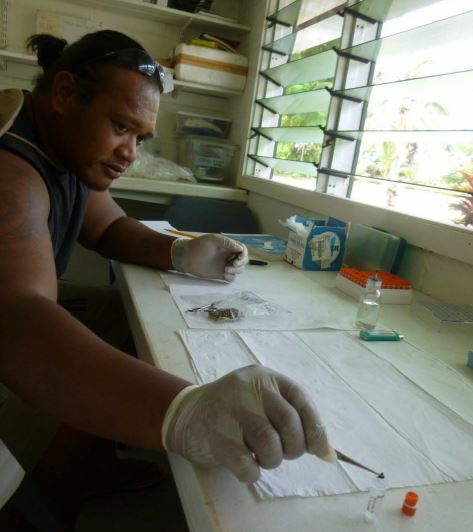 NPS/ACE Intern John Sua works in the NPSA research lab conduting DNA testing to increase the understanding of the population structure of the sea turtles, and how the sea turtles of the Ofu region fit into that structure. The sea turtle project also includes extensive night work. This Green Turtle was discovered during one such night walk. Ricky Misa'alefua detected this turtle on thenight of February 6 2015. 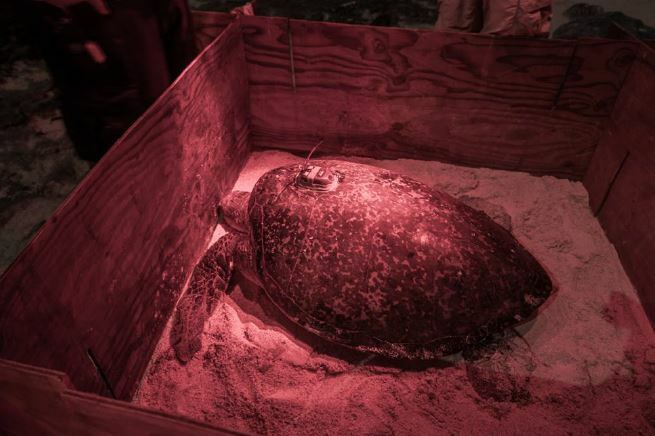 This turtle was tagged and her movements are now tracked by satellite. That's right folks...we officially have our very own hashtag. If you are an ACE corpsmember or staff we encourage you to take snaps out on project and tag them with #ACEinspires which will send your photos directly to our tagboard for all the world to see. while on your ACE journey. Double the fun in this editions installment of Getting to Know You. We have two amazing new recruiters who have joined our ACE family. A.J. Conrad and Kaitlyn Webb work out of our Arizona branch but recruit for our entire Intermountain Region. Like most ACE'rs both have a love for the outdoors and a passion for conservation. 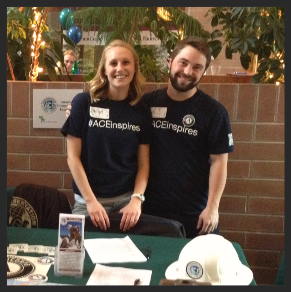 Their dedication in helping us find our amazing corps members has given ACE a great start to the new year. We are thrilled that they found ACE and we found them. 1. What’s the hardest thing you've ever done? A.J. : Hiking in Bhutan, we ended up reaching 14,500 ft in the lesser Himalayas. It was a tough climb, but what a view! KW: My solo month long trek in Mexico was a real challenge, in a good way. 2. What’s your favorite indoor/outdoor activity? A.J. : Indoors, watching classic films. Outdoors, either golfing or fishing with my father and our dog. 3. Who is the one person who has had the biggest impact on your life? A.J. : My grandfather, he is a constant example of the person I strive to be. KW: The most selfless human on the planet, my mom. If I could positively impact a fraction of the number of people she has I will consider my life an accomplishment. 4. If you had to work on only one project for the next year, what would it be? A.J. : Building native stone staircases, the rock bar is my favorite trail tool! 5. If you could be any fictional character, who would you choose? 6. If you could meet anyone, living or dead, who would you meet and why? A.J. : The first agriculturist, they are responsible for one of the most significant advancements in human history. KW: I'd love to meet whoever planned and executed the construction of the pyramids. They've have us stumped for ages and I would like to be in on that mystery. 7. What songs are included on the soundtrack to your life? A.J. : Nightswimming by R.E.M., Hometown Glory by Adele, and Pig by Dave Matthews Band. 8.What is something you learned in the last week? A.J. : That the Soviet Union once attempted to domesticate moose for use in their cavalry. KW: I just found out there is a herd of Moose living up in the northeast corner of Oregon, when did that happen?! 9. If you could witness any event past, present or future, what would it be? A.J. : The day we finally confirm the existence of life, no matter how simple, on another planet. KW: I hope to someday witness the day when healthy organic foods are a more accessible and affordable option than all the fast food restaurant menus around. A.J. : Anything? Probably alchemy, it would be fun to turn base metals into gold. KW: I want to be able to speak 5 or more languages fluently. A.J. : I can’t say I’ve ever had either, but in the spirit of my Midwestern roots I’d have to go with Yard-o-Beef. KW: Yard-o-beef if I had to choose. If I had to choose...priceless. :) Thanks to both A.J. and Kaitlyn. And welcome to ACE! American Conservation Experience has recently joined forces with Pledgeling.com to receive charitable contributions to our organization. Pledgeling is a great place to easily find your favorite nonprofits, or donate to one of their days's featured charities. The great thing about this site is that its 100% free to use and they are currently offering $5.00 to donate to a non-profit or charity of your choosing just for signing up. It's a wonderful way to Pay It Forward. ACE is currently accepting charitable contributions through our Pledgling page as well as directly through the Donation Page on our website. Our conservation program depends on grants, project partners, and donors like you to offer life-changing opportunities to young adults. Are you looking for a way to give back? ACE is looking for Alumni Members who would be willing to volunteer some of your time to mentor and guide current members. We would like to connect Alumni to support our young members not only through their current ACE terms but to help them transition into a career post ACE. You can serve as an invaluable resource for young people just starting out in the conservation ﬁeld. Have you seen our ACE Blog? Our very own ACE Alumni have traveled far and wide utilizing the skills they received while within the ACE program to propel them into the job of their dreams. 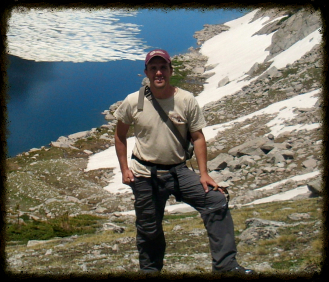 Anthony Ventello, ACE Wilderness Trail Intern is now the Land Surveying Technician for Civil & Environmental Consultants, Inc.
Are you looking for your DREAM JOB? 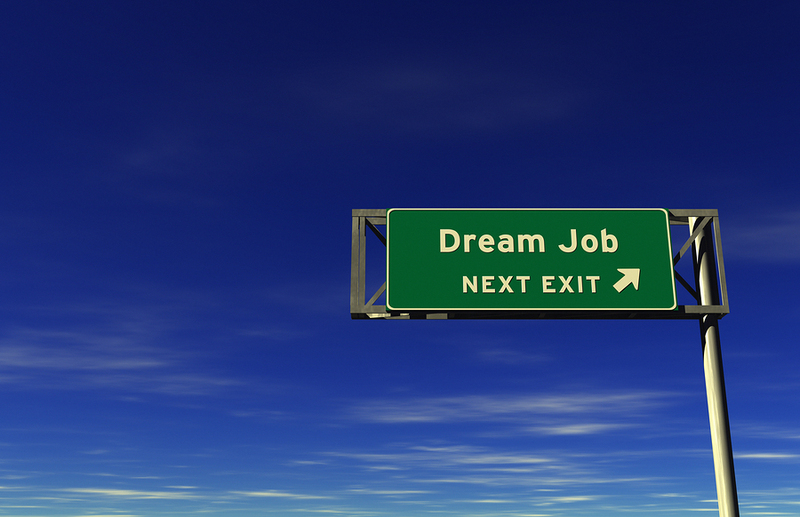 ACE currently has job openings as well as our many amazing partners. Check out our JOB BOARD for more information. Serving under ACE Americorps, and through that having the privilege to work for Saguaro National Park, has been nothing short of an absolutely amazing experience. Growing up in the beautiful Sonoran desert, Saguaro National Park has always held a special place in my heart and has helped shape my beliefs on protecting and preserving our natural world. Working here has not only fine-tuned my love for research and encouraging citizen science but also renewed my passion for bringing us all together to have this shared experience in nature. I can't imagine not having my ACE and SNP family and how supportive and encouraging they have been throughout this entire internship and I am truly thankful for this experience. My name is Yuki Nakayama-Larrabee and I recently graduated from Eckerd College in St. Petersburg, Florida. I say ‘recent’, but this was actually about 8 months ago. Time sure flies when you’re struggling to find your place in the world! Upon graduating college, I spent the next two months trying to figure out what I wanted to do with my life. I decided I wanted to work for the National Park Service, based entirely on a single hiking trip I recalled from my high school days. I started out in North Cascades National Park in July, working as a full-time volunteer with housing provided. I was part of the Greenhouse program, doing plant propagation in various locales within the park. My first few weeks were tough, as I learned that I was nowhere near as physically fit as I thought I was. I almost gave in and decided that I had chosen the wrong path. Things got better though and I discovered my own strength in this new challenge; I could hike for hours without rest and I could go weeks without internet or cell phone reception. It was a positive experience, but I still felt like I wasn’t doing exactly what I wanted just yet. So I met up with Kim Kwarsick, the Park Archaeologist, and she informed me of the ACE position that would begin in November. Having graduated with a Bachelor’s degree in Anthropology, I felt that this would be a better fit for me. This brings us to where I am now, several months into my ACE internship as the Cultural Resources Intern for North Cascades National Park. All of my work is done in an office, but it can be very gratifying knowing that I am an integral part in a program that promotes the preservation of the rich cultural history of the North Cascades. One of my first projects upon my arrival here was cleaning up the ASMIS database. 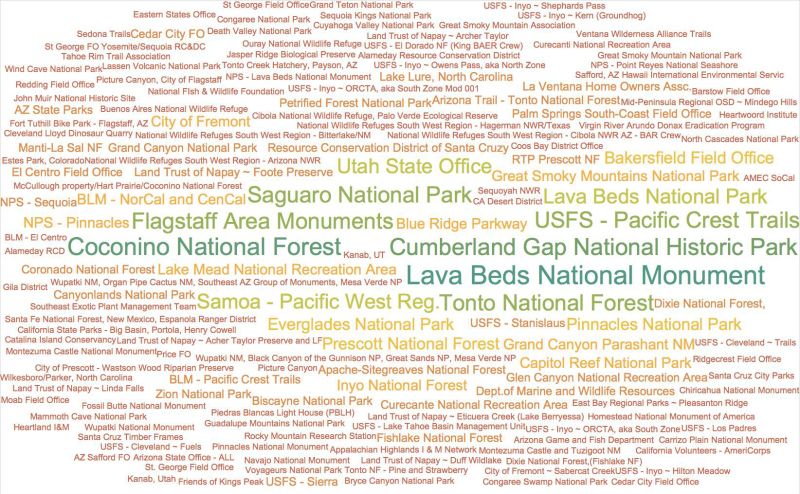 This database stores relevant information for every archaeological field site in the park. The database was a bit cluttered, as there were often required fields of information missing, as well as some entire sites missing completely. Finding this information often meant going into the archives and digging out field reports and field notes in order to obtain missing information. I have also worked extensively with the ArcGIS program, in which I had no experience upon my arrival here. The GIS is used to store important data such as the location of archaeological field sites as well as the location and area covered by survey tracts. Relying once again on field notes and field reports, as well as base maps, I cleaned up the data and even added new information that would be helpful for current and future archaeologists for the park. I have learned a lot in my time as an ACE intern, having gained valuable skills such as GIS and a glimpse into what cultural resource management work is like. I still have much to learn and the future is as uncertain as ever, but I embrace it (although I fear it) and look forward to seeing how my experience in this internship shapes my career. Since 2010 ACE has offered education award positions through one of our various State or National AmeriCorps programs. ACE AmeriCorps programs are designed to provide American youth with professional development and job skills training necessary for advancement in outdoor careers while also meeting critical community needs through environmental stewardship, service learning, and volunteerism. AmeriCorps members also earn a Segal Education Award after completion of the term of service. 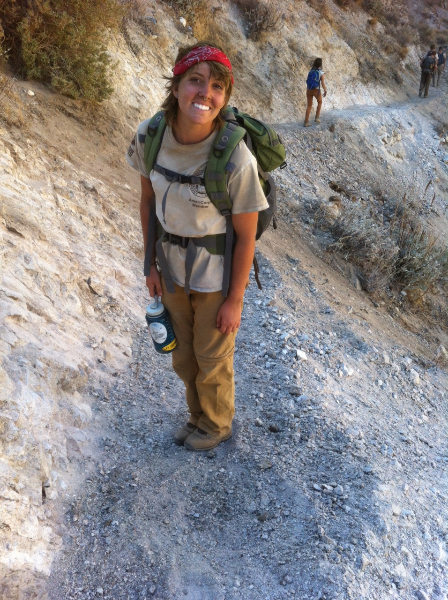 Allie Barnett joined ACE California in June 2014, and served nearly six months working on the Pacific Crest Trail Crew. She then returned to ACE this January for another three-month AmeriCorps term, with the goal of eventually becoming an ACE Crew Leader. She graciously agreed to be interviewed for our newsletter and to share her ACE experience. How did you first hear about ACE? 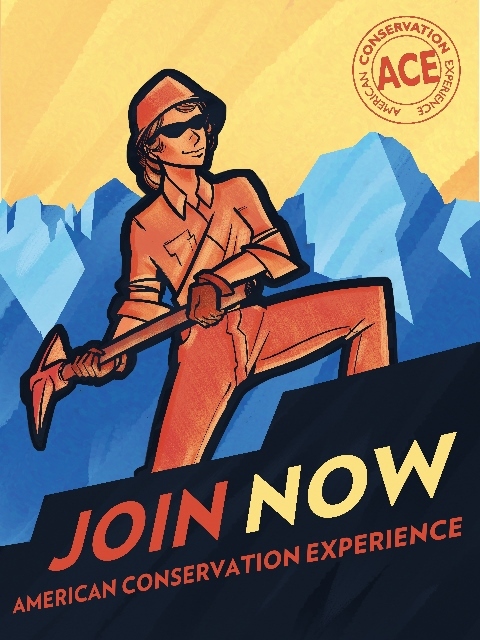 I was browsing the AmeriCorps website and applying to a lot of other AmeriCorps programs, but the ACE one looked the coolest. I really liked the idea of doing trail work on the Pacific Crest Trail (PCT). The PCT project. I got to see all of these parts of California that other visitors probably wouldn't get a chance to see, and got really close with my fellow crew members. We were like a little family. I really like working in the Sierras, hiking long distances, and doing rock work, so my dream project would combine all those things. I got the chance to visit the Hilton Lakes crew once, and the views were amazing. What is the craziest thing you’ve experienced while on project? Our crew witnessed the lightning strike that caused the fires up in Klamath last year. We had to move camp, and later on it hailed all night long. In the morning, we woke up and it looked like the ground was covered in snow from all the hail! What had been the most rewarding part of ACE so far? While working on the PCT, my crew made a lot of friends with PCT thru-hikers, some of whom we encountered twice, as they caught up to our new work site. Everybody was really thankful and expressed their appreciation for the work we were doing to maintain the trail, and it has inspired me to want to hike the entire PCT one day for myself. How would you describe ACE in one sentence? 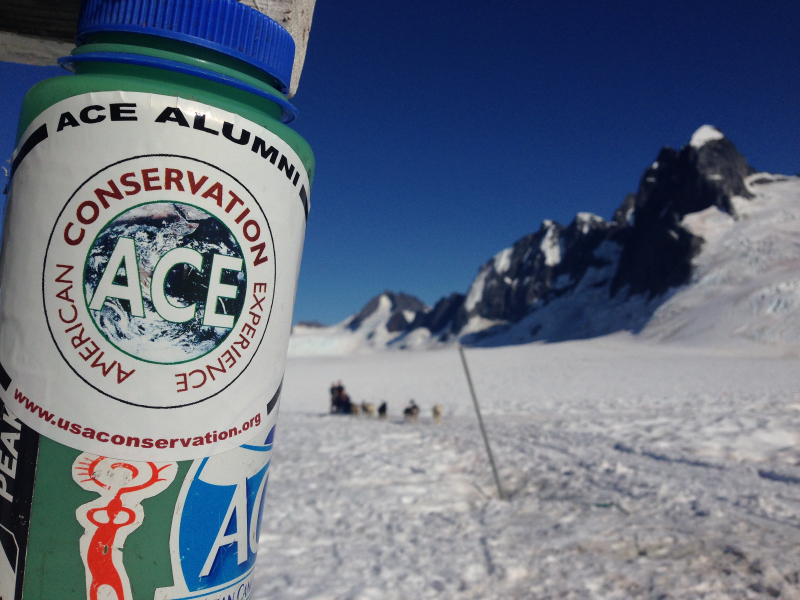 ACE is an ongoing adventure with conservation-minded people and the prettiest “office” anywhere! During my time on project, I have learned invaluable skills regarding trail preservation. In the Smoky's especially, I learned a lot of technical work: Operating a grip-hoist, rock drilling, and rock work construction. I am grateful for the experience to work in the national parks in North Carolina and I am excited to start projects in Arizona this week. 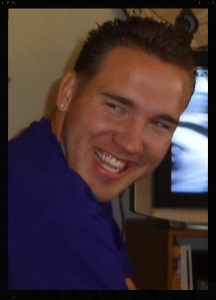 Welcome back Max Ley, Food Shopper for our Arizona branch. Hello to a final inspection and permanent occupancy permit for the NC Corps Member housing in Asheville! We are also moving in to a new office in February! 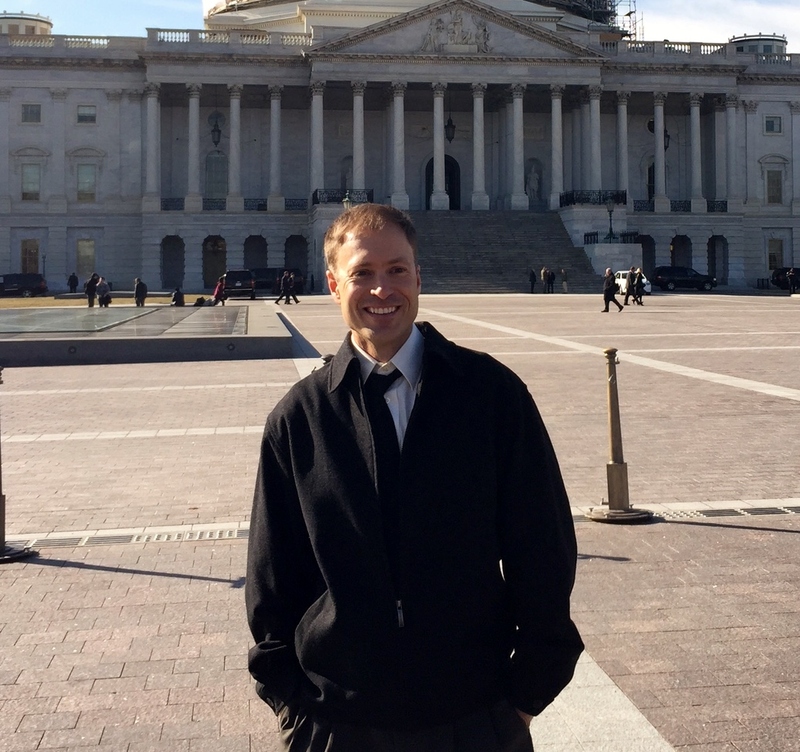 As of January 1, 2015, ACE EPIC Outreach Coordinator, Peter Woodruff is officially working full-time. We are excited to have Peter spending more time recruiting highly qualified interns for the upcoming 2015 projects! Welcome back to our 2015 Field Crews and Corps Members. It's going to be a busy and exciting year at ACE! Thanks for joining our ACE family. ACE CA bids a heartfelt goodbye to Crew Leader Nathan Ocobock. Nate began with ACE in March 2013 as an AmeriCorps member, contributed extensively to meadow restoration projects that same year, and later developed quickly as an ACE sawyer. In early 2014, he began leading crews, meeting great success on a chainsaw crew in Cleveland National Forest, and going on to lead the BLM NorCal Roving project featured in the stories above. 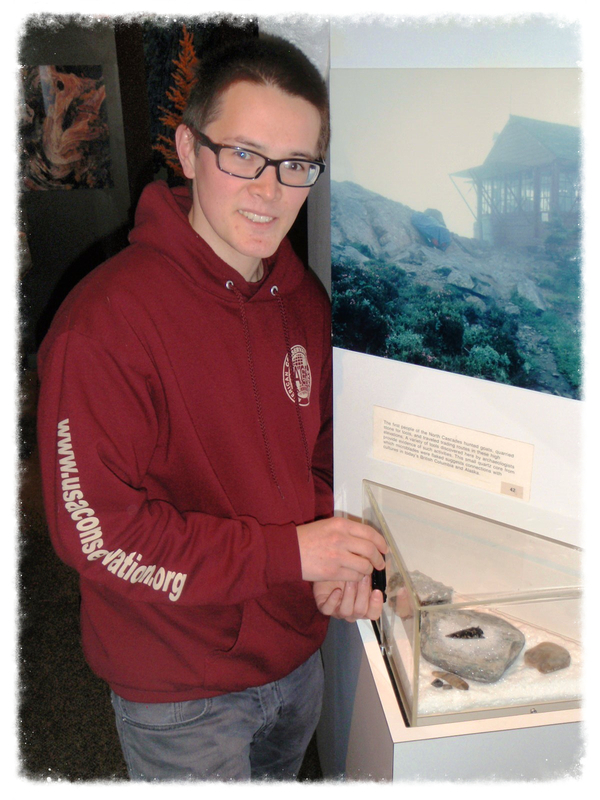 Nate left ACE in December, is currently pursuing an EMT-B, with plans to pursue emergency medicine and/or wildland fire. We were fortunate to work with you, Nate, and wish you the best in the future. ACE CA sends goodbyes to distinguished ACE Tahoe 2014 crew leaders, Amber Stack and Cayle Adams. Amber contributed great effort to ACE’s accomplishments in partnership with Lake Tahoe Basin Management Unit, particularly at Monument Pass and Fallen Leaf Lake. Cayle began ACE as a crew member in March of 2013, and excelled exceptionally quickly to lead a highly technical rockwork project on Mt Tallac starting in September 2014. Both have moved on and will be greatly missed. 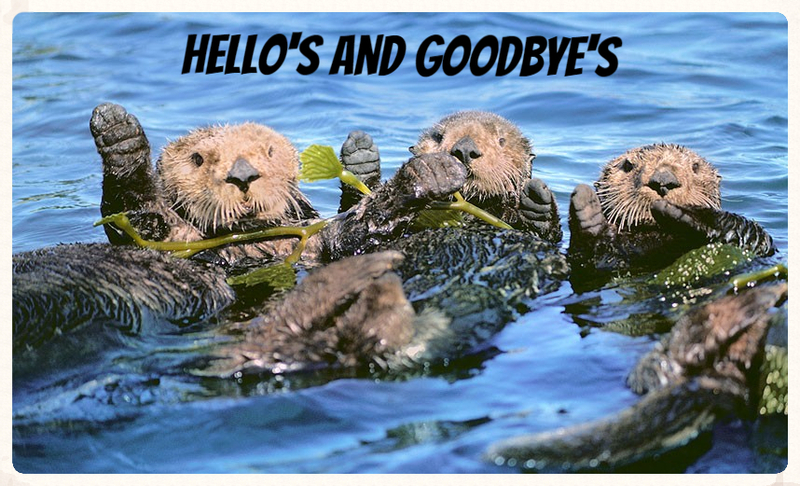 ACE CA sends a cool “See ya later” to field staff members currently on voluntary winter furlough, traveling abroad, skiing, snowboarding, visiting family, and otherwise taking clever advantage of the cyclic nature of our field operations. We are looking forward to working together again this spring, which is right around the corner! James joined the American Conservation Experience EPIC team in November as an Administrative and Office Assistant where his background in technology and conservation make him a great asset to the team. James began his tenure with ACE as the OHV Trail Technician AmeriCorps Intern with BLM Bakersfield Office where he designed and implemented strategies to maintain OHV trails at the El Mirage Special Recreation Area. In summer 2014, James returned to ACE as a Backcountry Wilderness Trail Intern on the Inyo National Forest in the High Sierras, building and maintaining wilderness trails. On top of working full time, James has recently decided to return back to school to study Civil/Environmental Engineering. With the little free time he does have he enjoys playing Xbox, bouldering, attending comic con, and forever cracking up the ACE EPIC office. Welcome James! Carolyn Harper, has been serving as the ACE Outreach Volunteer Coordinator Intern (AmeriCorps) since September. She brings a wealth of knowledge and experience. 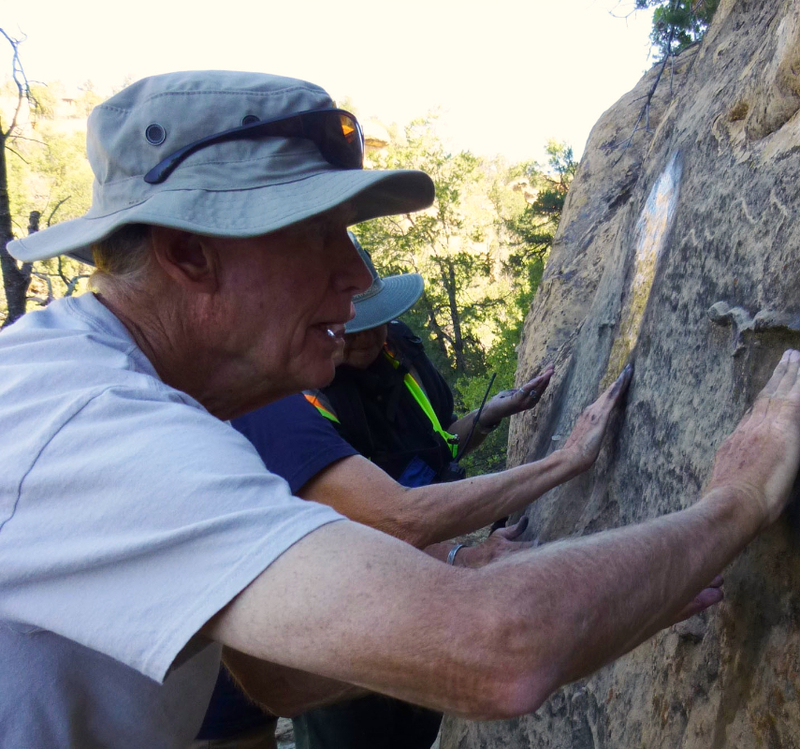 Over the last couple of months, Carolyn has generated an increase in volunteers for both the second Saturday buffelgrass pull and the Weed Free Trails volunteer program for the Saguaro National Park’s Resource Management Division. She has canvased Tucson including libraries, University of Arizona, schools, local businesses, Americorps organizations, community volunteer boards and several outreach events with announcements about volunteer opportunities at the park. Carolyn has taken the initiative to contact Arizona Daily Star and was interviewed on the impacts of buffelgrass on the Sonoran Desert. Carolyn has made progress on forging new partnerships with the Girl Scouts of Southern Arizona and local Tucson employers to have employee community service days. 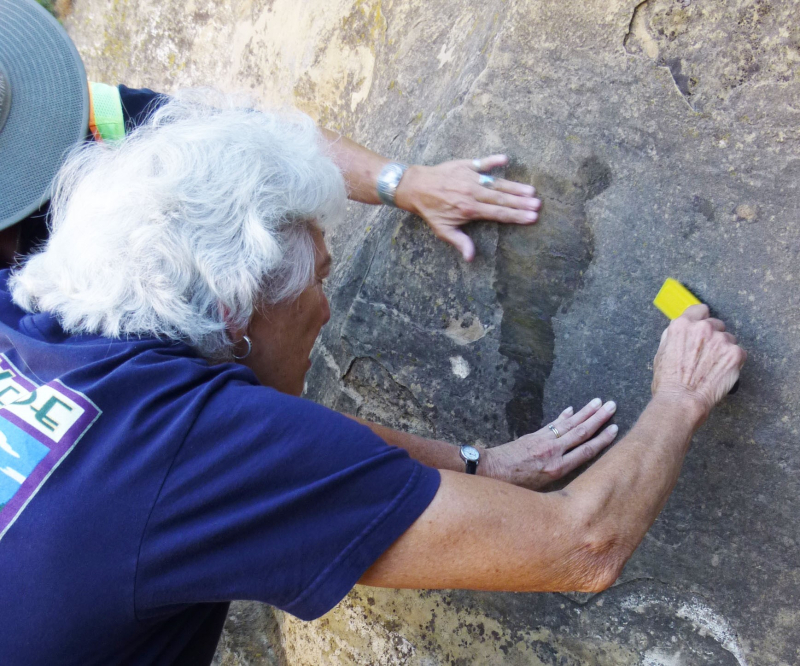 She has been instrumental in getting many of Saguaro National Park’s volunteer resources updated as well as creating and designing new graphics for the Park’s Resource Management Division’s volunteer programs. 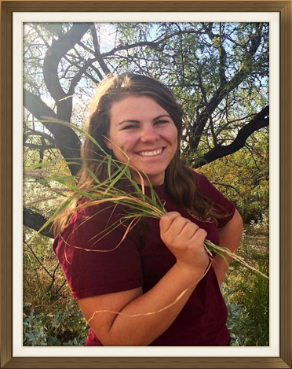 Carolyn is an Arizona native and before coming to Saguaro National Park as the Outreach Volunteer Coordinator Intern, she was a 900-hour AmeriCorps member with ACE Arizona in Flagstaff. She attended ASU and graduated with a degree in Biology focusing on Conservation Biology & Ecology. Carolyn’s career goals include outreach to a younger generation by combining environmental education and fieldwork in hopes they will protect the natural beauty in their local communities. 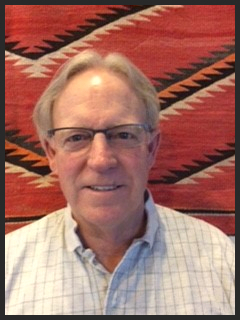 We would like to extend a warm welcome to Keith Core who will be serving as an Encore Fellow with the Flagstaff based Intermountain Region team. Keith recently retired from Intel Corp. where he held positions in Network Engineering and Information Security. He comes to ACE through a partnership with Experience Matters, a Phoenix-based nonprofit organization that facilitates rewarding part time volunteer work for recent retirees from corporate professions. Keith's efforts over the next year at ACE will focus on streamlining business processes and developing easy to use collaboration tools. With your contribution to ACE you are helping to mold today's young people into tomorrow’s environmental advocates and land stewards. Your financial support enables us to provide life-changing experiences to our youth and young adults as we hope to inspire the next generation of conservationists. Charlie De La Rosa, Pamela Foti, Shayne Miller and Patsy Kraeger. ACE has emerged as a national leader in recruiting, coordinating, and training volunteers to undertake practical environmental restoration projects in America's national parks, forests, wildlife refuges and other public lands. ACE has teamed up with the Amazon Smile Foundation to receive charitable donations from people who buy from Amazon. Tom Wilson, Afton Mckusick, Brad Hunter, Keean Ruane, Jeff Bousson, Keith Trainor, Carolyn Getschow, Adam Scherm, Josh Burt, Amy Allamong, Hannah Wendel, Yuki Nakayama-Larrabee, Lauren Nichols, Sierra West, Tim England, Shane Barrow, Matt Roberts, Chris Baker, Susie Jardine. Copyright © 2015 American Conservation Experience, All rights reserved.